The beautifully scenic Toba Inlet is a deep fjord on the unspoiled west coast of British Columbia. The inlet carves its way many miles inland, cutting deep into the magnificent Coast Mountains that rise as an imposing backdrop. Surrounded by majestic snow-capped mountain peaks, Toba Inlet is fed by glacial waters, with the glacial silt colouring the inlet’s waters a fabulous shade of jade green. 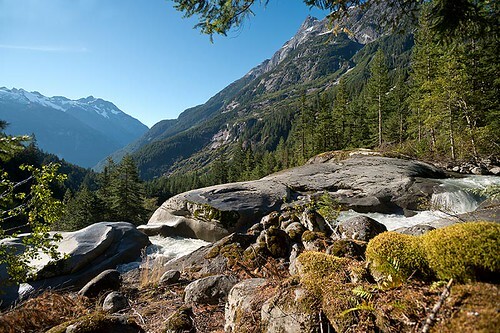 The Coast Mountain Range, which begins on the North Shore of Vancouver and sweeps north along the British Columbia coast and through Alaska, is the tallest range in North America, and among the most heavily glaciated. The Coast Mountains divide the coast from BC’s Interior, creating an isolated wilderness region and a paradise for outdoor adventurers. Toba Inlet lies within the traditional lands of the Klahoose First Nation, a northern Coast Salish tribe that maintained seasonal and permanent villages in the region from Toba Inlet south to Cortes Island in the Discovery Islands. When the main villages in Toba Inlet were flooded in the 1800s, the Klahoose Band relocated their traditional winter settlement to a permanent site in Squirrel Cove on Cortes Island. Ancient native pictographs, Indian burial grounds, and abandoned native villages can still be seen today. Toba Inlet was originally named Canal de la Tabla by Dionisio Alcala Galiano, captain of the Spanish vessel Sutil, and Cayetano Valdes y Bazan, captain of the Spanish vessel Mexicana. Galiano and Valdes found a strangely decorated Indian wooden tablet or plank here while exploring the area between Vancouver Island and the mainland in 1792. In 1795 the name was changed to Toba, apparently in honour of Antonio Toba Arredondo, the only officer under Captain Alexandro Malaspina who had not had a local place named after him. Malaspina sailed two ships of the Spanish Navy along the coast of British Columbia in 1791. The peaceful and undeveloped Toba Inlet provides almost total isolation for those who venture into its pristine waters and forests. Working freight boats, floatplanes and water taxis occasionally ply the opaque emerald waters, and solitary pleasure boaters enjoy a cruising experience that ranks among the best in the world. Location: Toba Inlet is located north of Desolation Sound on the west coast of BC, 100 air miles (160 kms) north of Vancouver. Visitors can fly to Campbell River on Vancouver Island and transfer to a seaplane for the 20-minute flight over spectacular scenery to Toba Inlet. Water taxis can also be chartered in Campbell River for a 90-minute cruise to the inlet. Toba Inlet is also accessible from Squirrel Cove on Cortes Island, and from Heriot Bay on Quadra Island. Quadra and Cortes Islands are accessible by ferry from Campbell River. The inlet is also reached from the Sunshine Coast, from the communities of Lund and Powell River. Glacier Water: Known Canadian brands of premium glacier water are bottled directly at the source of the water at Alpine Creek in Toba Inlet. Glacier water is sourced for bottling before it has a chance to filter into the earth, ensuring cleaner tasting water in its purest state possible – the perfect quencher for the thirsty outdoor adventurer! Waterfalls: Toba Inlet has a number of cascading waterfalls that plummet down the steep mountain slopes into the emerald waters of the inlet, some of which appear to flow from the clouds. The waterfalls are at their most impressive in early summer as the snowpack in the Coast Mountains melts. Kayaking in Toba Inlet is an unforgettable experience for solitude-seeking paddlers with the time to explore this wilderness region. Camp can be set up along the way, although suitable campsites become scarce as you move toward the head of the inlet. Not many places in the world provide an opportunity to watch bears foraging along the shoreline from the safety of a kayak! Paddlers can also stop at one of the many waterfalls that cascade into the inlet. Visitors need to be aware that this is prime bear country, so appropriate safety measures should be taken. 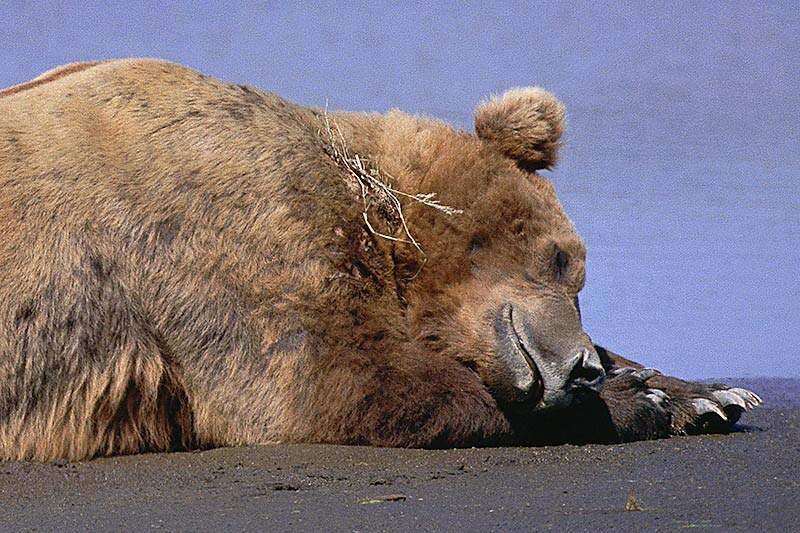 As the area is very isolated, kayaking experience and self-sufficiency is required. Fresh water is available from any one of the dozens of creeks that tumble down the mountainous terrain all along the paddling route. 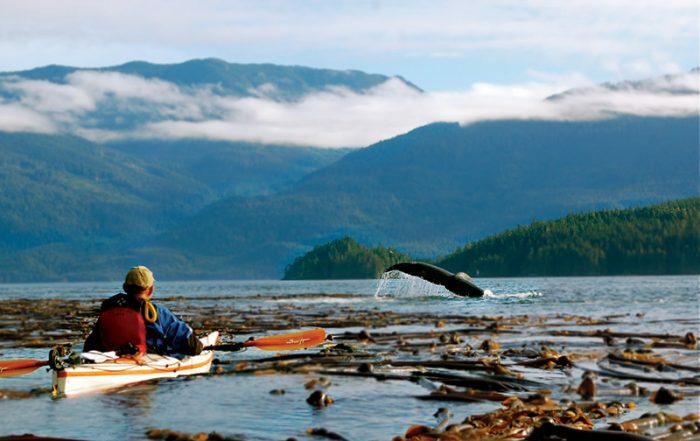 Kayaking tour companies operating out of Lund and Powell River on the Sunshine Coast, and Quadra and Cortes Islands, offer guided multi-day seakayaking trips into Toba Inlet, and the surrounding area, for both novice and experienced paddlers. Hiking: opportunities are numerous in Toba Inlet. A logging road opposite Brem Bay on the east side of Snout Point winds up the hillside towards Mt. Grazebrooke, and at the head on Toba Inlet the road bridges the estuary of the Tahumming River before continuing for several miles up the Toba Valley. Tahumming Range in Toba Inlet is an excellent destination for both hikers and climbers. 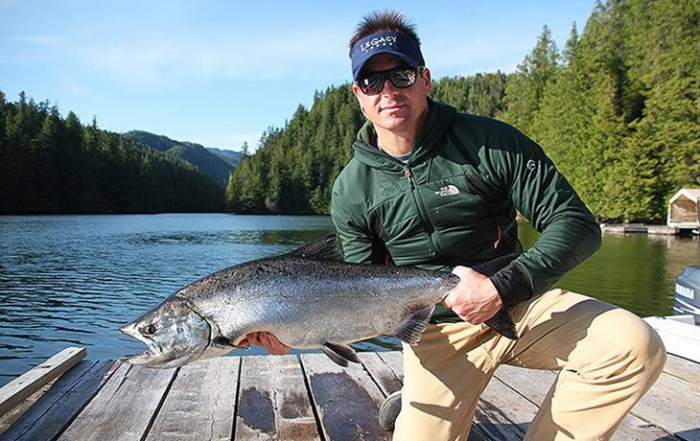 Fishing: Toba Inlet has some major salmon runs in its various rivers and streams, and several streams in the estuary area produce excellent rainbow trout fishing. Anglers can also catch cod, red snapper, flounder and prawns. Boaters seeking the tranquility and scenic wonders of Toba Inlet may have difficulty anchoring in the deep waters of the fjord. Protected anchorages are difficult to find, with the west side of Brem Bay considered to be the best anchorage in Toba Inlet. Boaters generally anchor in deep water and run one or two stern lines ashore. Boats tucked into small coves can attach lines to objects on both sides of the shore to secure their vessel for overnight stays. Boaters can sometimes secure permission to tie up to a logging barge near the Tahumming River. Wildlife has free reign in Toba Inlet. 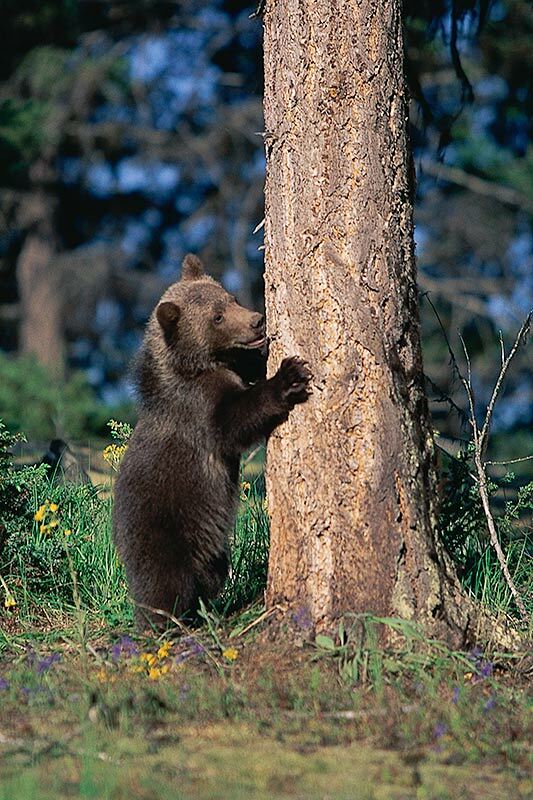 In the waters look for killer whales (orcas), sea lions, seals, and dolphins, and ashore you are likely to view deer, mink, raccoons, black bears, and grizzly bears grazing on the lush river estuaries or foraging along the rugged shoreline. The ever-present bald eagles patrol the skies above. Desolation Sound Marine Provincial Park possesses a magical magnetism that draws boaters and paddlers from distant shores. 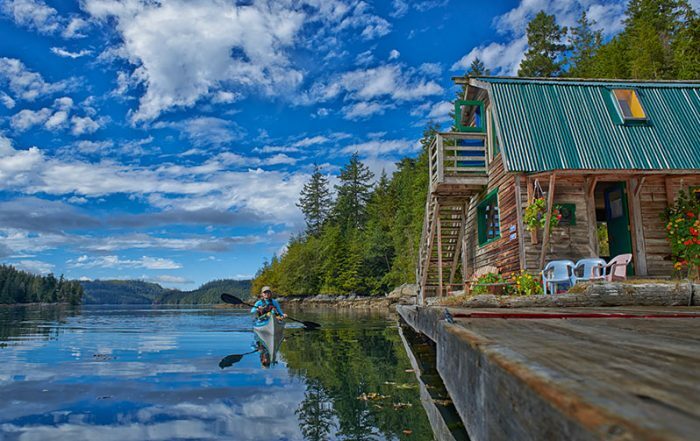 Popular anchorages include Prideaux Haven, Tenedos Bay, and Grace Harbour, and plenty of isolated bays and campsites can be found throughout Desolation Sound’s more than 37 miles (60 km) of coastline. Walsh Cove Provincial Park is a small 85-hectare sheltered anchorage located on the east side of West Redonda Island, off Waddington Channel. The park is a favourite among Desolation Sound yachtsmen. Immediately north of Toba Inlet is the remote and pristine Bute Inlet, another deep fjord located amongst the narrow tidal passages at the northern end of the Strait of Georgia. Between Toba Inlet and Vancouver Island are the Discovery Islands, part of the chain of 6,000 islands that shelter the British Columbia coastline between Washington and Alaska. The Discovery Islands dot the intricate waterways in some of the most spectacular scenery in the world.